Medical cannabis is being shown to help alleviate and even treat many conditions within humans, helping to replace potentially harmful medications while improving one’s quality of life in many cases. 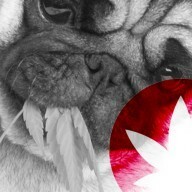 The immense benefits derived from using cannabis and the active constituents within are not solely limited to humans, though. 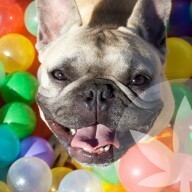 Cats and dogs can also benefit from taking CBD, as they also possess an endocannabinoid system, the physiological framework that allows the cannabinoids within cannabis to work so effectively within lifeforms that posses this system. When many people think of cannabis, they may very well associate it with the psychoactive effects it is so well-known for. 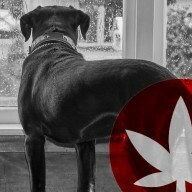 They may believe that giving their pets cannabis will induce a high that their animal may find uncomfortable and confusing. However, cannabis has many more cannabinoids to offer that are not psychoactive, but have been shown to be highly medicinal. 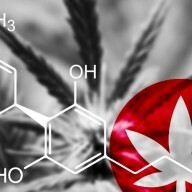 THC is the molecule associated with the psychoactive effects of the herb, but molecules such as CBD can be taken by both humans and animals without any associated psychoactive effects. 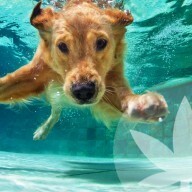 The benefit of CBD in pets seems to be quite diverse, with reports ranging from improving behaviour and reducing anxiety to increasing coat and skin health. The reason why cannabinoids such as CBD seem to work so effectively within humans and animals is due to how they interface with the body. CBD works as an agonist with numerous receptor sites, and influences receptors within the endocannabinoid system such as the CB1 and CB2 receptors, although indirectly. Cannabinoids are structurally similar to molecules that already exist within the body, known as endocannabinoids. Due to some miracle of nature, because of the similarity, these external cannabinoids or “phytocannabinoids” can work in similar ways to the ones we already produce, such as anandamide and 2-AG. 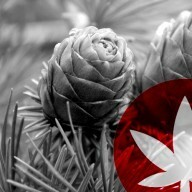 Endocannabinoids are lipid-based retrograde neurotransmitters that bind to the receptors of the endocannabinoid system. The endocannabinoid system plays an important role within the body, contributing towards the regulation of many physiological processes such as fertility, pregnancy, appetite, and pain sensation. Cannabinoid receptors are primarily found throughout the central and peripheral nervous system and the immune system. Many studies displaying the effectiveness of cannabinoids have been conducted in vivo within animals such as mice. 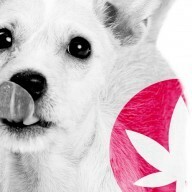 Research published within the journal Toxicology Communications has shown that many pet owners are now turning to CBD as a non-traditional treatment option, with great success being seen. 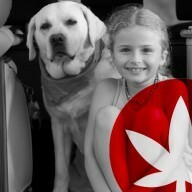 Only 7% of pet owners reported that CBD did not perform as well as standard treatments and therapies. This means that a massive majority of 93% felt that CBD worked equally well or better than conventional treatments. 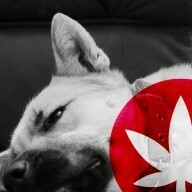 CBD may be effective for many different ailments and illnesses that pets encounter. Of these, it may be particularly beneficial for pet skin and coat health. Of course, pets might develop a short-term itch here and there after taking a walk outdoors; however, long-term itches that don’t seem to cease might be a sign of a chronic condition. For example, cats are known to develop atopic dermatitis, an inflammatory and chronic skin condition that is associated with a myriad of allergies. Common causes include our feline friends coming into contact with substances such as grass, mould spores, and dust mites. Animal dander and pollen can also be a cause of the condition. Symptoms become worse over time, and can be exaggerated depending on the current season. Commonly affected areas include the ears, wrists, ankles, muzzle, underarms, groin, around the eyes, and between the toes. Cats will exhibit scratching, rubbing, and licking in affected areas. CBD has been shown to be effective for this condition, and may therefore be an option that pet owners consider to relieve their pets of the constant itching. As mentioned above, the endocannabinoid system plays a key role in regulating physiological systems within the body. This also includes the skin, where it regulates skin cell growth and differentiation. CBD has been shown to exhibit anti-inflammatory effects of certain skin cells. The immunosuppressive properties of cannabinoids such as CBD may make them a therapeutic agent for inflammatory skin diseases. It makes CBD a potential avenue of relief for your dog, and combines well with the other beneficial compounds of Cibapet to boost skin health. As well as providing CBD, Cibapet products contain a whole host of other nutrients that may help to improve skin conditions and boost coat quality in pets. Fish oil, an ingredient within Cibapet products, contains the omega-3 fatty acid EPA, which is known to act as an anti-inflammatory capable of assisting with skin inflammation. Fish oil is also known to promote a shiny and healthy coat in pets, and may reduce shedding and hairballs. Another factor that contributes towards healthy skin and fur are protein and amino acids, also found within Cibapet products. Cibapet CBD Pastilles and Oil contain a vast array of vitamins such as A, B1, B12, B2, B6, C, E, K3, as well as calcium, iron, manganese, and zinc, which are all vital for skin and coat health.